Continuing with our “Exploring” blog series, today we will look at the Industrial Arts Index. Before the current-day crowd of scientific and engineering online discovery services existed, staying up-to-date in one’s field involved visiting the reference section of the local library and using their subject indexes. The Industrial Arts Index was one such tool, designed to make it easy to find the most widely-used and useful articles in a number of engineering and engineering-related fields. –Ed. Imagine you are an architect working in 1916. You are building a home for a client who needs the latest fashionable front door design—they’re absolutely insistent—but your knowledge regarding what’s up-to-date in the doorway world is slim. You need an article detailing the styles du jour, but there are so very many periodicals to sort through. It could take hours poring over issue after issue to find what you need. This is where the Industrial Arts Index (IAI) comes to the rescue. 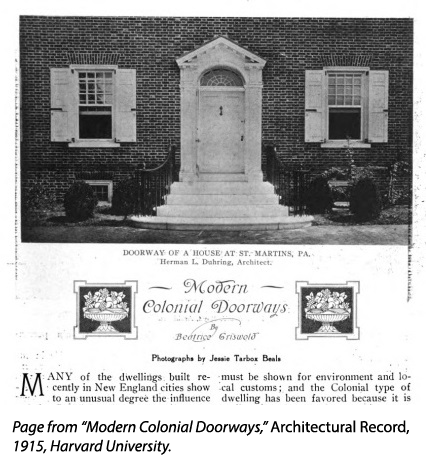 Opening the latest annual IAI volume, you find an entry for “Modern colonial doorways,” a piece that appeared in a 1915 issue of Architectural Record. Using that information, you find the article and spy a picture of a neoclassical job complete with half-circle transom and framing metope.1 Nostalgic, yet forward-looking: perfect. First, the engineer may reply on his memory and the published index to his bound volumes. It is safe to say, however, that few engineers really make much practical use of this method. [...] Second he may keep a special card index of important data and reference to valuable articles. This at once involves labor and attention which few busy men can give [...] Third, he may abstract important data in a limited way on loose-leaf transparent paper, standard letter-size, and he may remove or detach articles of special vale from out his journals, to be filed in regular office file system, like correspondence. Potter and Teich went on to point out that Alvord skipped a fourth option, albeit one outside of his direct control: “A printed index to these magazines is without question the most convenient and economical way of making [engineering] literature accessible.”3 This was the niche that the IAI aimed to occupy. 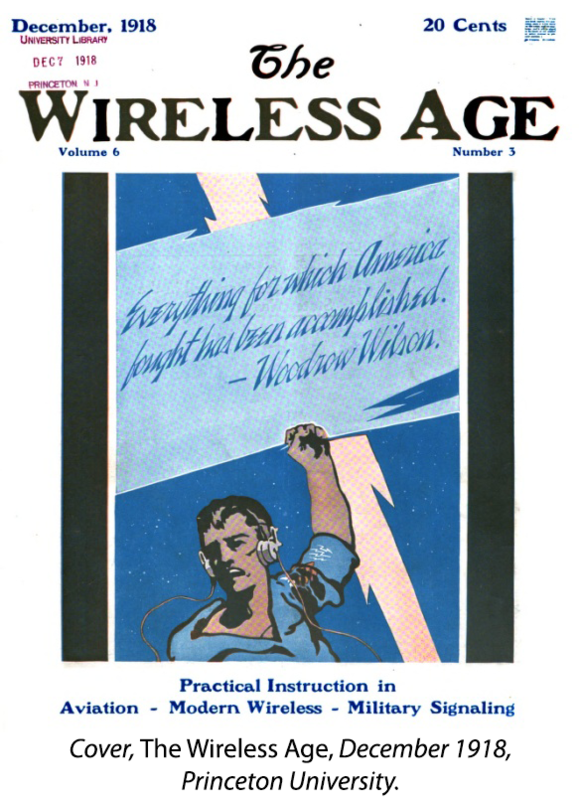 Publication…began in 1913 in response to a need felt by practicing engineers: a lack of systematic means to recall important and useful material published in trade magazines and journals. The choice of new journals to be added was made by way of a popular ballot. It is notable that the Industrial Arts Index did not represent a complete or exhaustive indexing of engineering publications. Rather, in keeping with Teich and Potter’s original goal, it attempted to index the most used and most useful publications appearing in the journals with the widest library coverage. The decision to define the index in this way had to do with the intended audience of practicing engineers and those working in the field.9 This limitation in scope can be a possible boon for the current-day researcher. The IAI represents a roughly democratic selection of the most widely-used journals and articles of the time, giving insight into contemporary trends and attitudes. So what kind of material did appear indexed in the pages of the IAI? The answer to that question is quite broad. The journals indexed served such varied disciplines as architecture (Architectural Forum), sewage treatment (Sanitation and Heating Engineering), smelting and forging (The Foundry), electric train engineering (Electric Railway Journal), home renovation (Domestic Engineering), radio production (Wireless Age), and civil engineering (Municipal Engineering). These periodicals addressed a wide range of issues. For example, readers interested in the psychological effects of streetcar operation could turn to volume two of Electric Railway Journal and read their case study, “Psychological Tests of Motormen,” indexed in the IAI volume for 1913.10 What were municipal rules regarding billiard playing in the 1910s? Just check Municipal Engineering volume forty-five, “Ordinance Governing Billiard Rooms,” also found in the IAI for 1913.11 How did foundries change their practices to attract women workers during World War I? Why, The Foundry volume forty-five addresses that very question in “Employment of Female Labor in the Foundry,” indexed in the IAI volume for 1917.12 Whatever your trade, whatever your interest, the IAI contained something for nearly everyone. Users of 19th Century Masterfile: 1106 – 1930 can access all entries that appeared in the Industrial Arts Index from 1913 until 1921. Check your institution’s database subscriptions to find if you have access to 19th Century Masterfile, or sign up here for a free trial. Thank you to Marlene Hurst and Peggy Fulton for providing invaluable preliminary research on this topic. Beatrice Griswold, “Modern Colonial Doorways,” Architectural Record 38 (August 1915): 246; found in The Industrial Arts Index: Fourth Annual Cumulation (1916). “Introduction,” Industrial Arts Index 2, no. 5 (1914). “List of Periodicals Indexed,” Industrial Arts Index 1, no. 5 (1913). “List of Periodicals Indexed,” Industrial Arts Index 7, no. 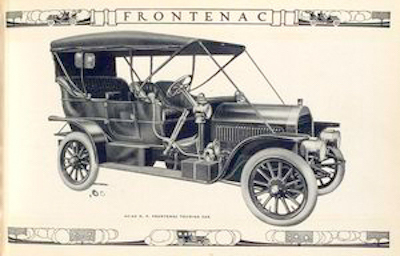 10 (1919). “List of Periodicals Indexed,” Industrial Arts Index 9 (1921): xiii – xvi. “Introduction,” Industrial Arts Index 3, no. 5 (1915). This complaint reappeared in the introduction to the 1917 IAI, too. “Introduction,” Industrial Arts Index 4, no. 5 (1916); “Introduction,” Industrial Arts Index 5, no. 5 (1917). “Introduction,” Industrial Arts Index 4, no. 5 (1916). “Psychological Tests of Motormen,” Electric Railway Journal 42, no. 2 (July 1913): 66 – 67; found in The Industrial Arts Index: First Annual Cumulation (1913). “Ordinance Governing Billiard Rooms,” Municipal Engineering 45 (August 1913): 140 – 141; found in The Industrial Arts Index: First Annual Cumulation (1913). “Employment of Female Labor in the Foundry,” The Foundry 45 (December 1917): 519 – 520; found in The Industrial Arts Index: Fifth Annual Cumulation (1917).